Click flyer to view and download. Join us this September to learn how we’re making our region more inclusive and respectful of all ages—and how you can get involved! 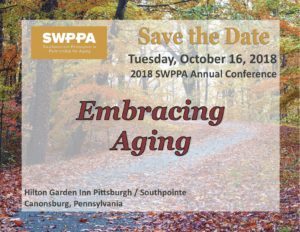 SWPPA members and any others interested in learning about our work are invited to attend these free events. 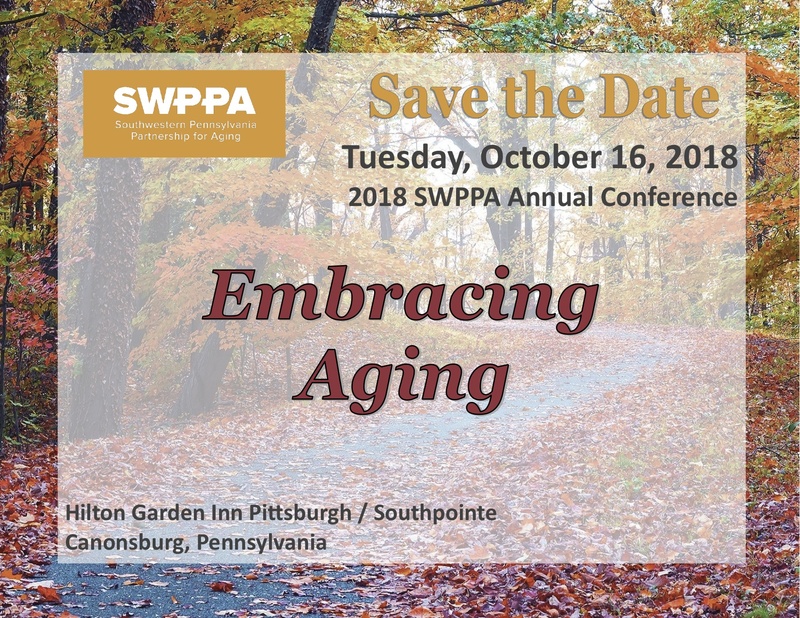 SWPPA is excited to invite you to our 2018 SWPPA Annual Conference, “Embracing Aging.” The Conference will take place in a new venue this year in Washington County, not far from Pittsburgh with easy access to I-79, at the Hilton Garden Inn Pittsburgh / Southpointe on Tuesday, October 16. The annual conference is open to all – members and non-members alike. Additional conference details can be found on the Education page of our website.